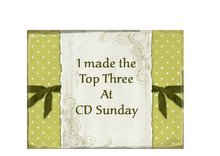 Here is my entry for this weeks challenge at CD Sunday - Something beginning with 'D'. I found the image in my stash in a QVC kit from many moons ago! The die cuts are my new mirror image leafy swirls Signature dies from Joanna Sheen - I can see these are going to be useful. The backing paper is from my newish Sharon Duncan CD Embossibilities. 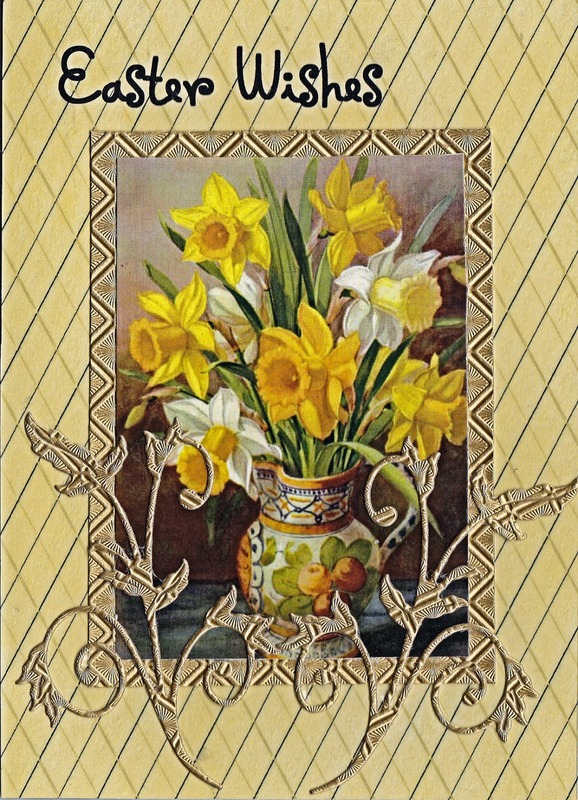 Such a pretty Easter card and really fresh and spring like. Thank you for joining us again this week. It's beautiful Tess. Love those new swirlies dies. Very useful having the opposing pair. Lovely Tess, yes spring is here at last , thanks for joining us at CD Sunday this week. What a beautiful picture Tess. Lovely card.